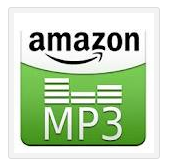 You can get a FREE $2 MP3 Credit from Amazon for sharing your favorite song on Facebook! All you do is type in your favorite song, hit share, and then the $2 credit will automatically apply to your account. Credits need to be redeemed by May 24th! One credit per customer and you need a United States billing address.